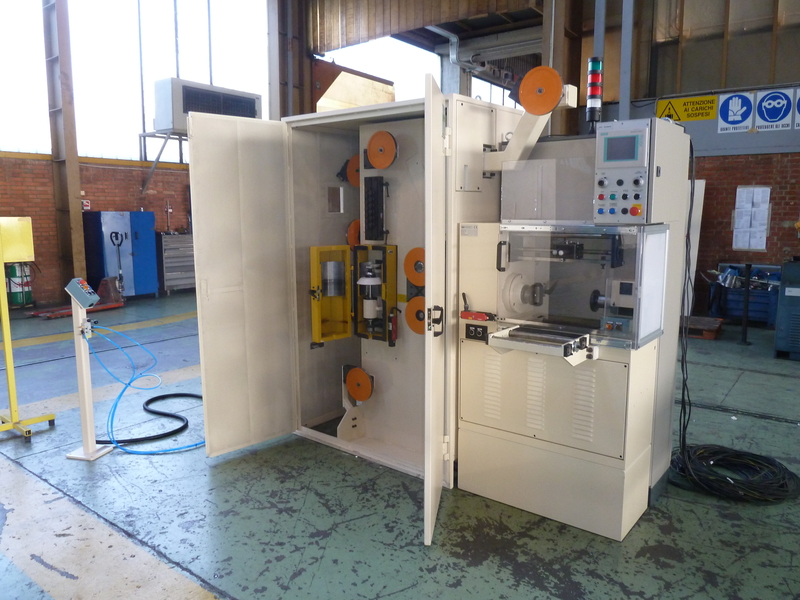 We have developed two types of cable wrapping machines. 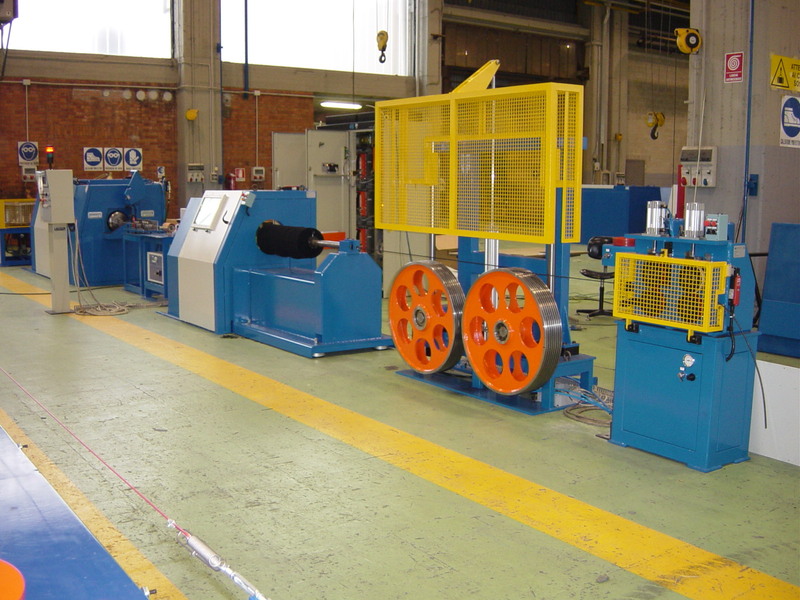 The MV2 or MV3 wrapping machines are designed to wrap with a single filament wire a cable that is used for tire reinforcement. The wrapped cables are generally used as reinforcement for truck tires and earth movers tires. 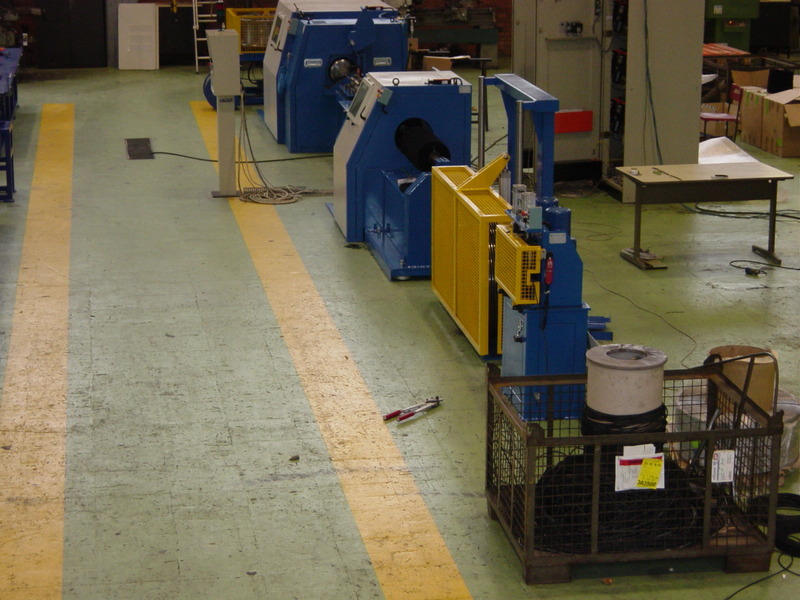 The machines consists in a spool payoff from wich the cable is unwound to be fed into the wrapping machine. The wrapping wire is placed on a small spool that is mounted inside the flywheel that wraps the wire around the cable. 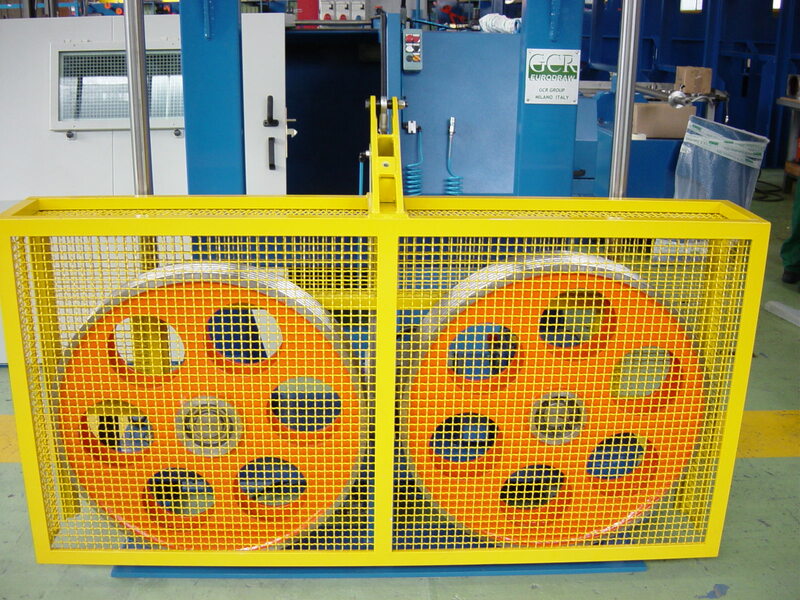 The wrapped cable is subsequently straightened and wound on the final spool that is used by the tire manufacturer. The MV2 is the basic model of the machine, while the MV3 is equipped with soundproof housing and has a slightly larger spool for the filament wire. 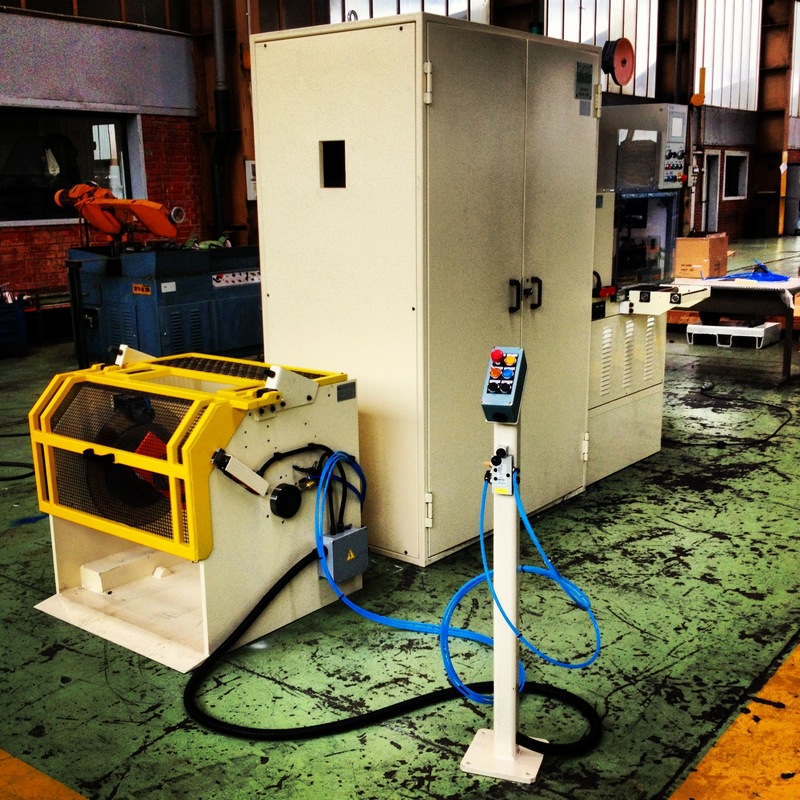 The machine can rotate up to 15.000 twists per minute. 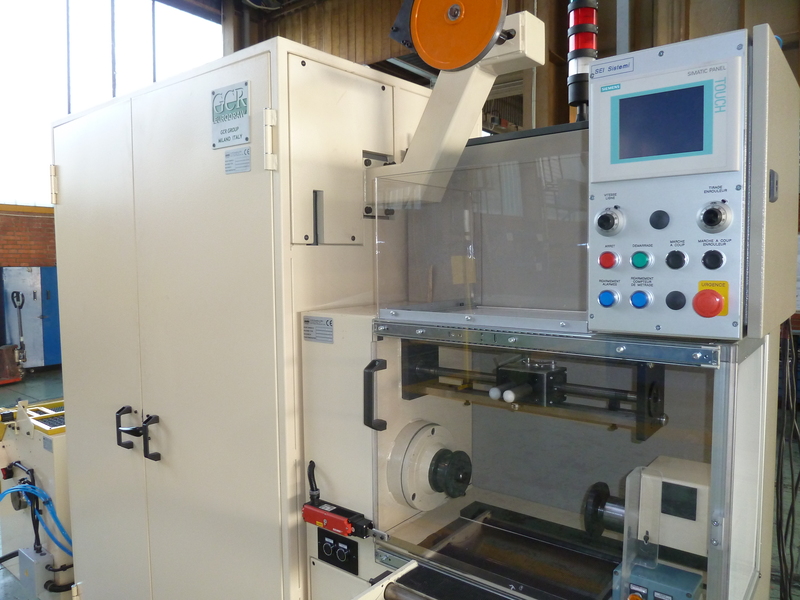 This line is specifically designed for the production of special control cables for the automotive industry. It is composed of a rotating payoff for the wrapping wire , a rotating spool payoff for the control cable, a haul off capstan and a pinch wheel pulling unit and a basket coiler. The wrapping wire coming from the wrap wire pay-off is passed through the rotating bow pay-off that houses the control cable. The cable is paid off through the shaft of the cradle. The bows rotate around the cable spool and a special device winds the wrapping wire on the center cable at the desired pitch. This makes possible to use large spools for the wrapping wire AND for the cable to be wrapped so that downtime can be considerably reduced. 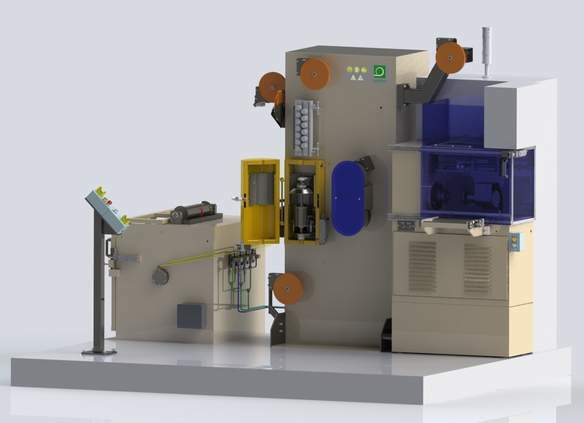 In addition, the cable can be double -wrapped with textile in one single operation by adding a second wrapping unit in-line with the first one. 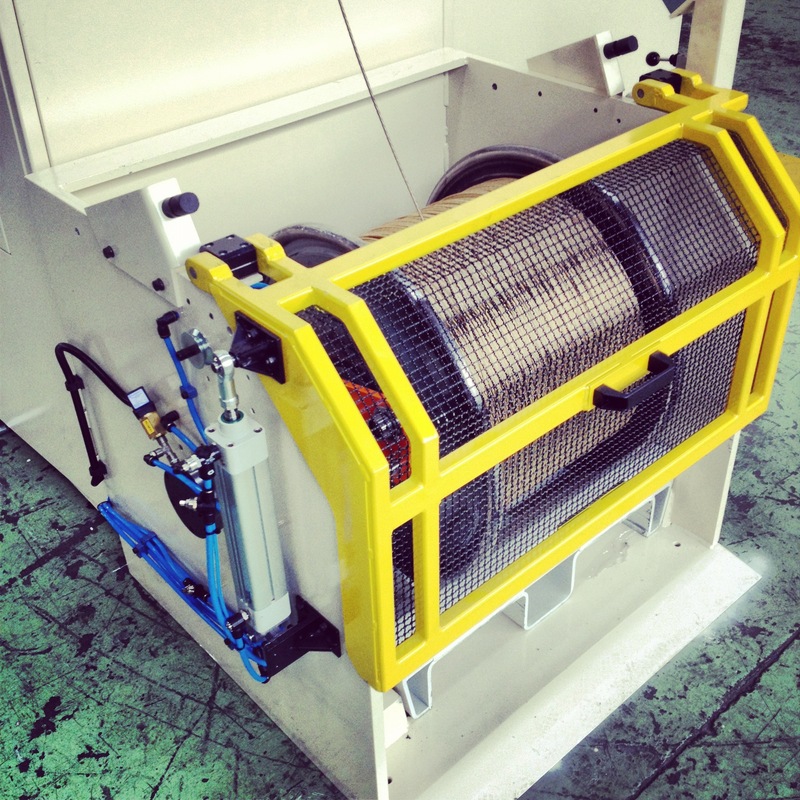 A special device controls the pitch of the wrapped wire so that it is always within the desired specification. The haul-off capstan pulls the wrapped cable out of the bow payoff, the pinch wheel puts the cable under tension and at the same time directs it into the basket coiler. The final product is generally used as a control cable/screw for operating automotive components such as electric sunroofs, electrically operated windows, but also in other applications where it is necessary to use special flexible shafts cables. 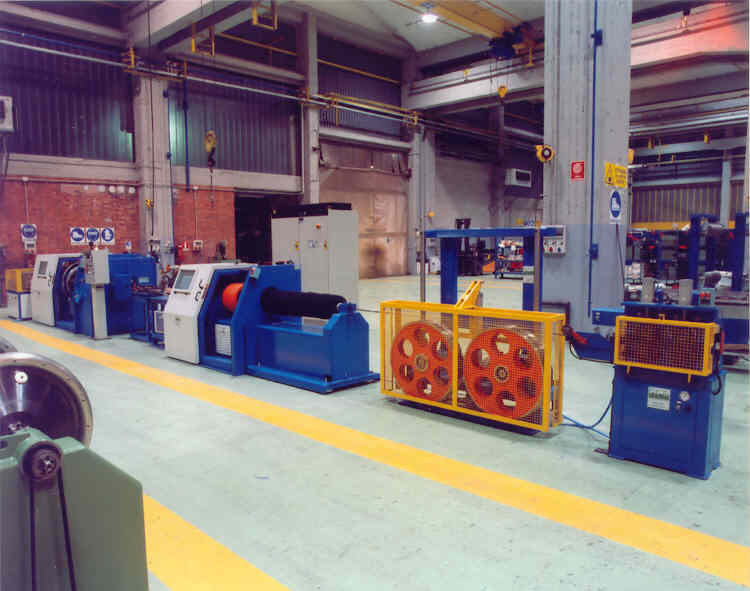 With this line, control cables can be manufactured in a one step high speed operation with substantially lower manufacturing costs compared to the traditional methods where it is necessary to process the product a minimum of three times and at much lower speeds.